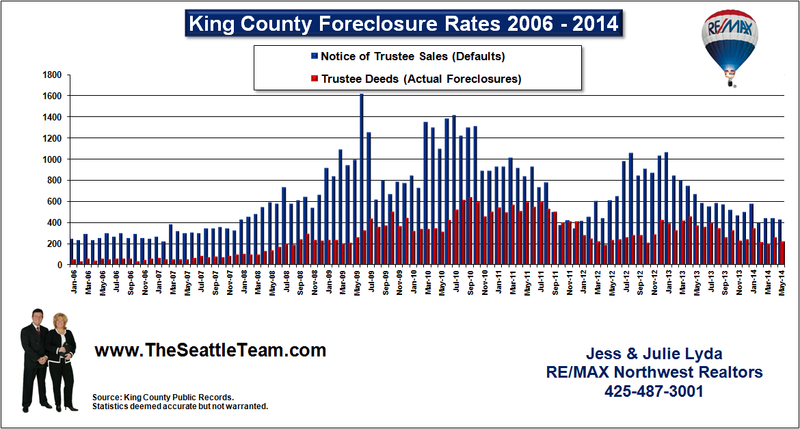 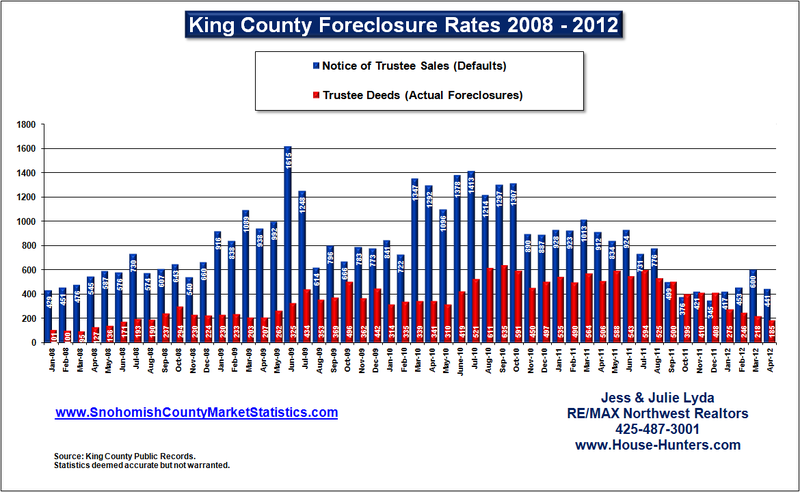 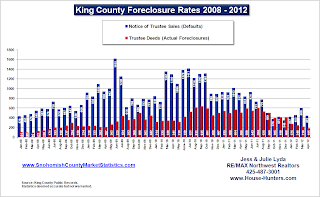 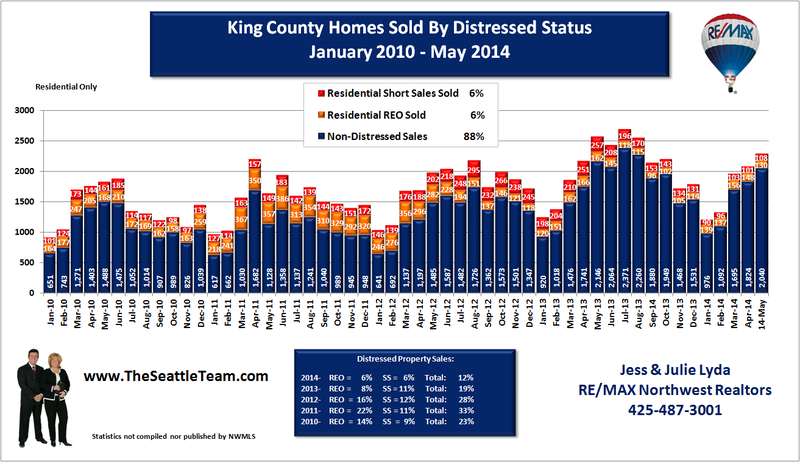 The rate of foreclosed home in King County dropped to its lowest level in nearly four years. 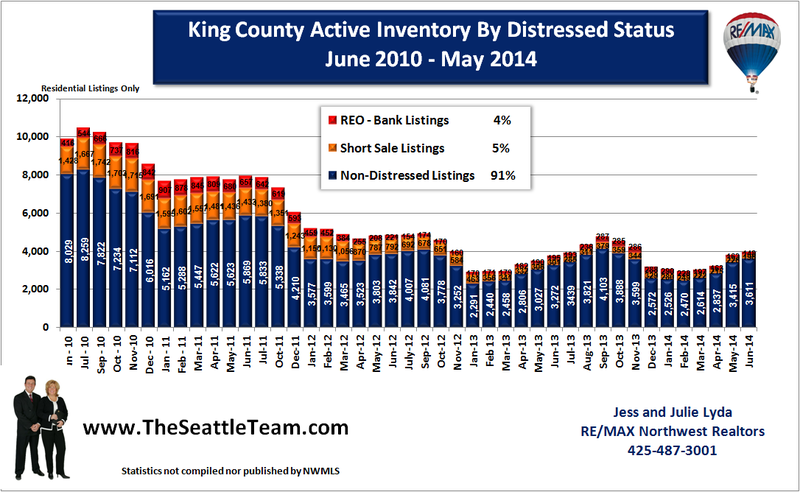 In April we saw only 185 homes foreclosed on which was the lowest amount since June 2008. 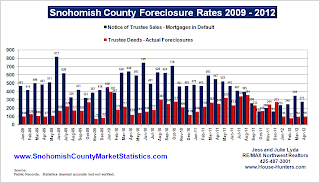 This tells us that the market is continuing to heal and that the banks have moved through most of their seriously delinquent mortgages. 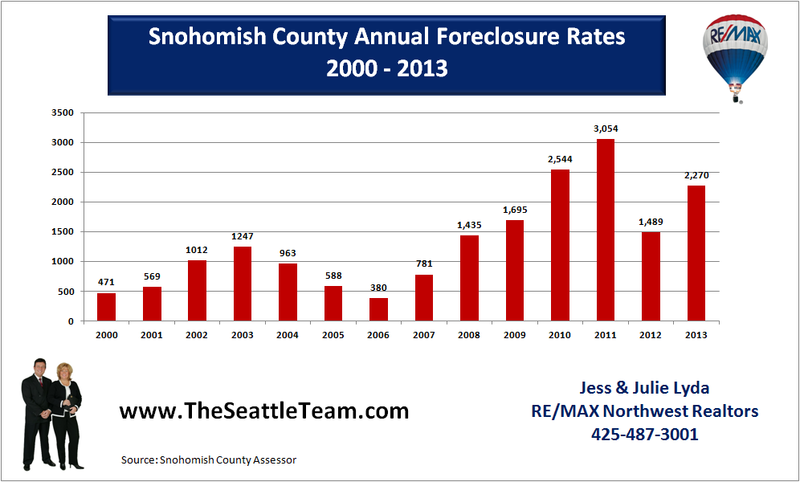 They also continue to improve their rate of loan modifications to keep families in their homes. 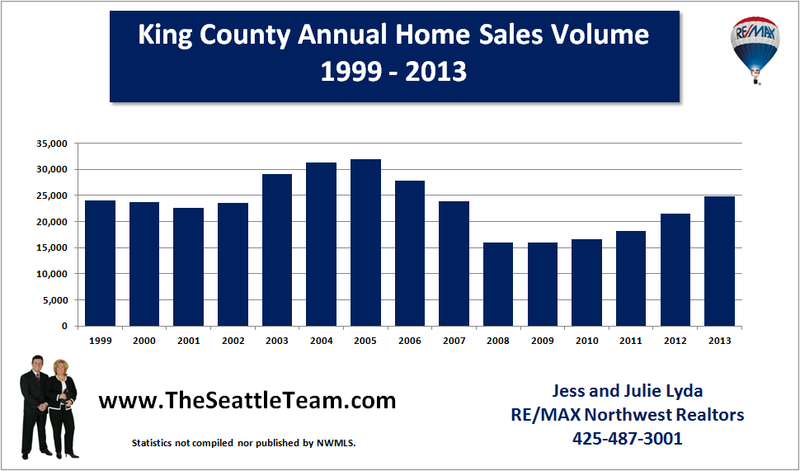 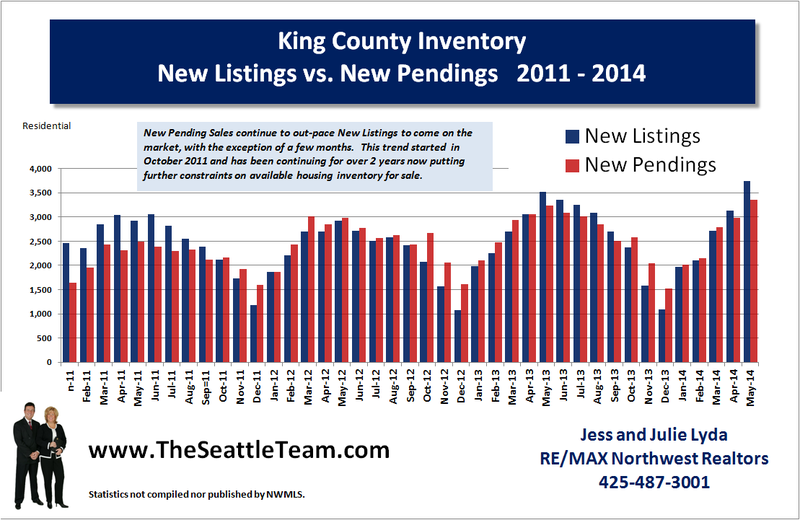 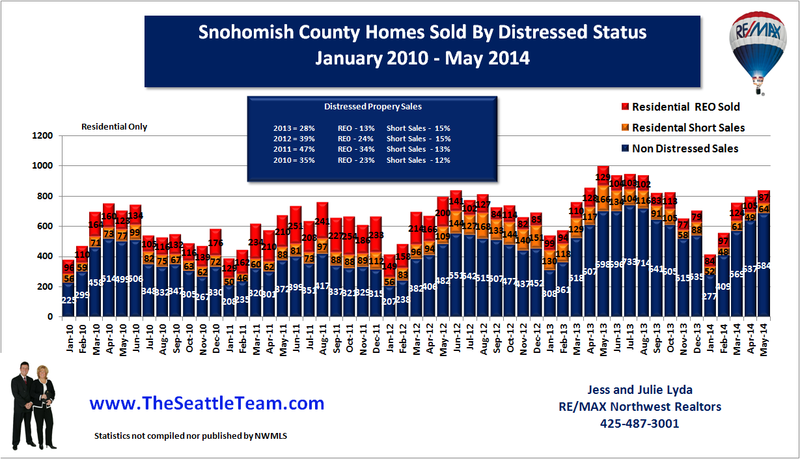 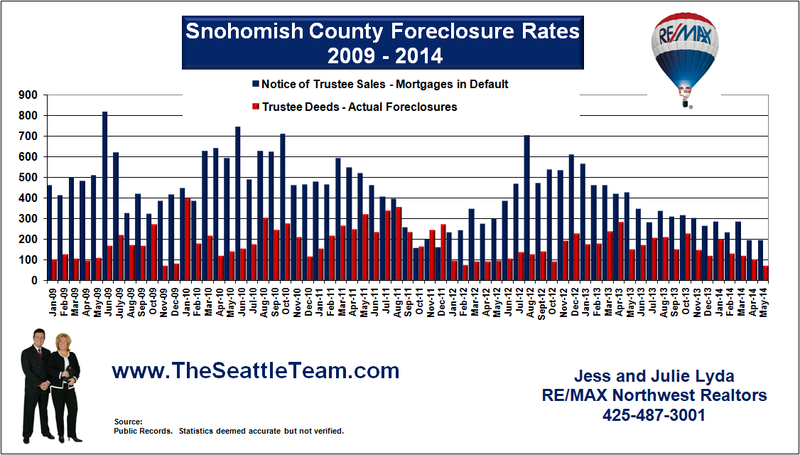 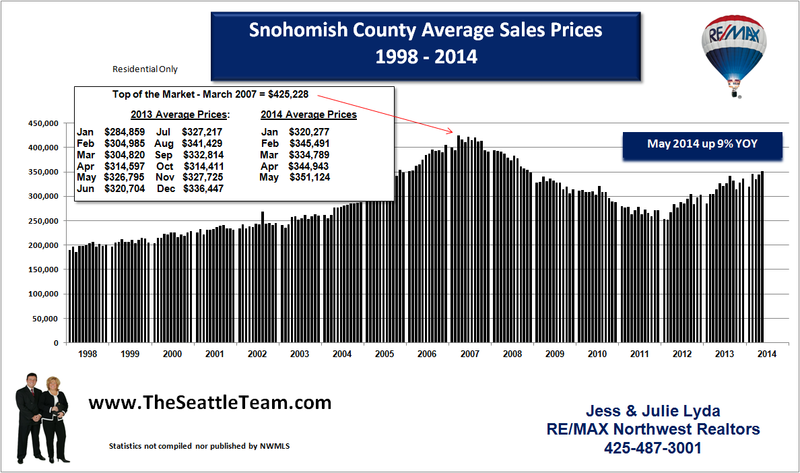 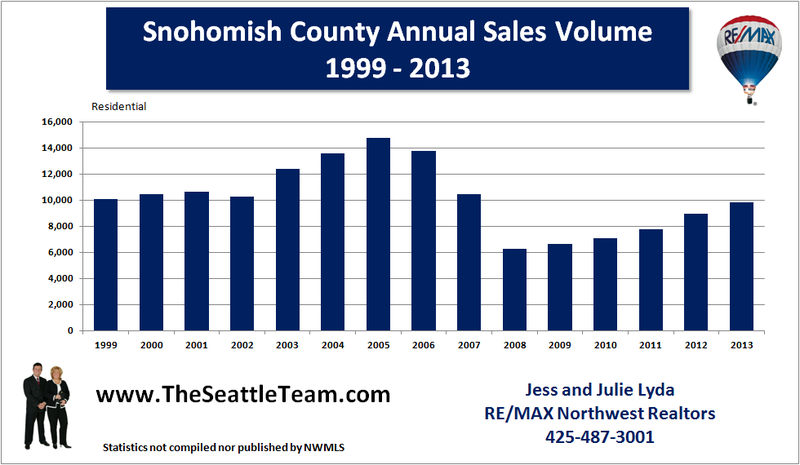 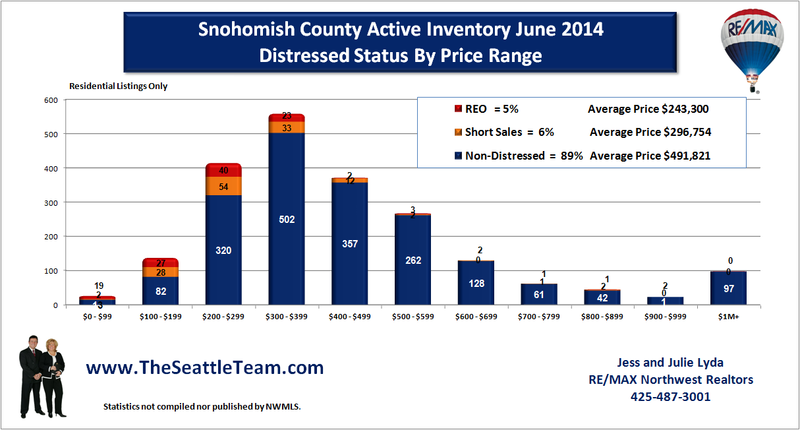 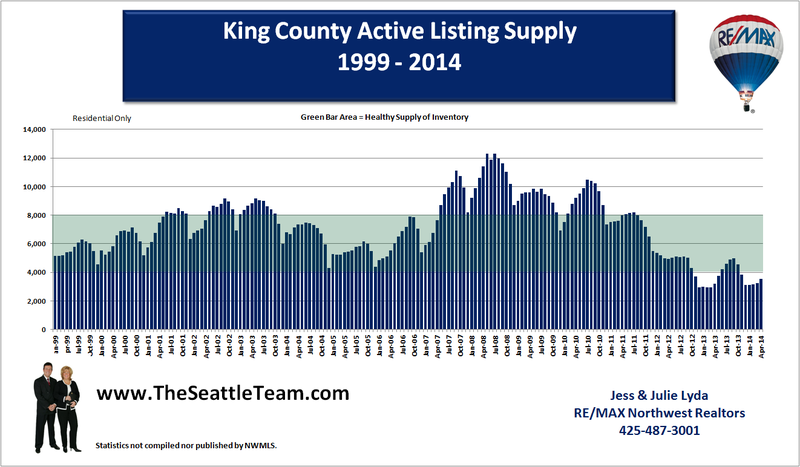 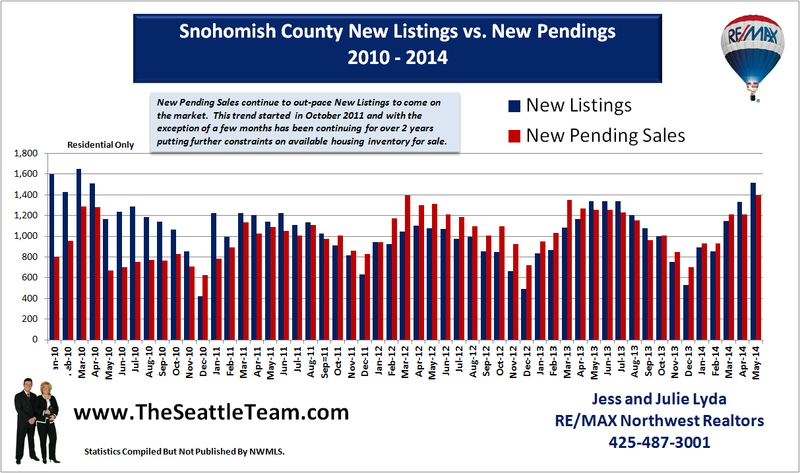 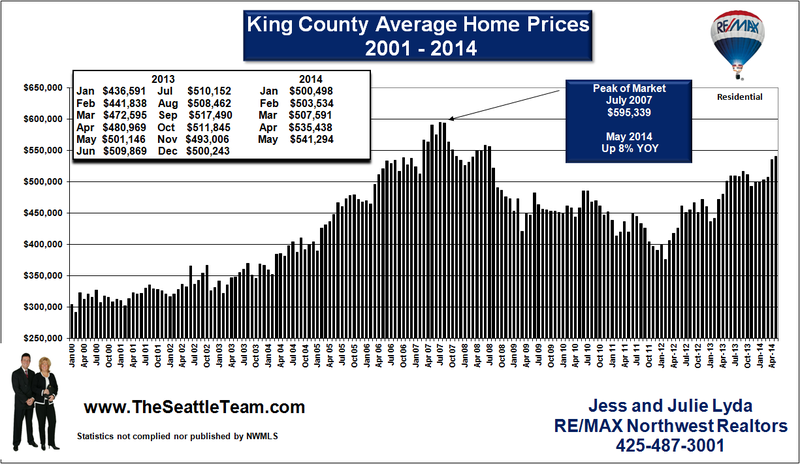 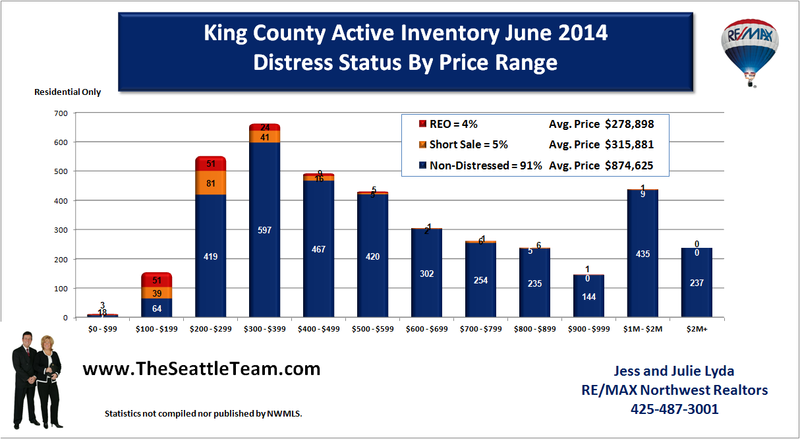 In Snohomish County we see similar declines, but our records only go back to 2009. 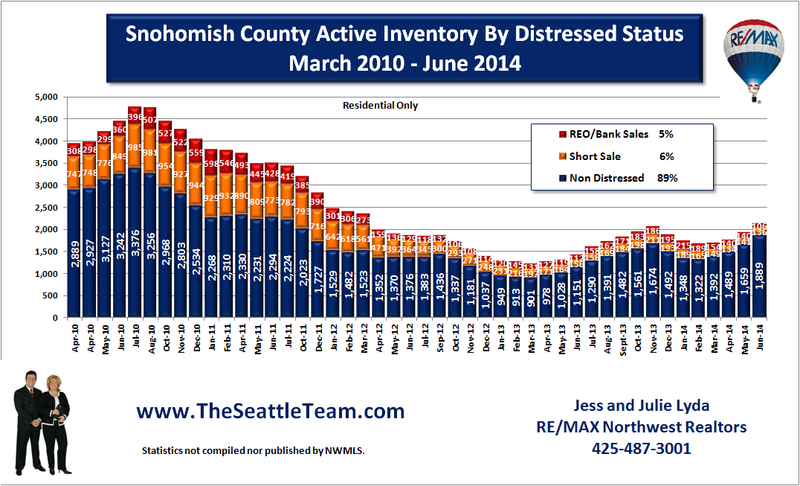 The month with the highest amount of foreclosures was January 2010, over 2 years ago. 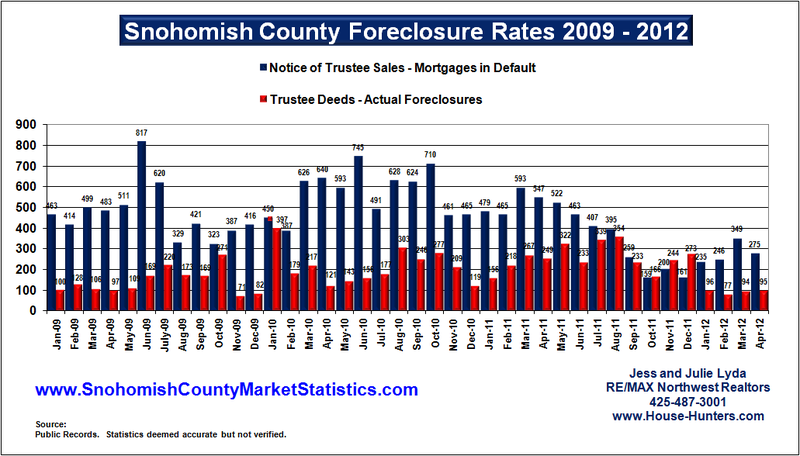 We do not anticipate any significant increase in future foreclosures as bankers are also reporting fewer mortgage delinquencies.